Romance is auspicious bond and affection of love one’s. This is the way to express your feelings, imaginations and intuitions for someone. Everyone has dream of romantic places or vacations, where they can fall in love and feel relax. Even nature has offers you some romantic cities. Are you finding the most Romantic place? No doubt, there are thousands of cities all over the world and each has its own importance. Some exotic romantic cities in the world are famous for sandy beaches or mountain climbing. Most of you know only about Paris, Singapore, Switzerland etc. But here, we have listed out exotic breathtaking views, date venues and most popular romantic cities where two of you can create unforgettable memories. Tuscany is the one of most beautiful cities in the world with an area about 2300km located in Italy. This is famous for its landscape, tradition (high culture), Villas, history of art and science. You can enjoy their best food, romantic hotels, bike riding and many more. Nothing is more romantic than Tuscany in Italy. Once you visit here, you will fall in love in Italy. Bruges is the capital of west Flanders in the northwest Belgium. This is the largest place of the west Flanders. It is famous for their canal that is why it is also known as “Venice of the north”. You can enjoy Bruges by exploring the best places such as Markt, Church of Our Lady, Groeninge Museum, Memling Museum, Dijver Mansions, Town Hall, Basilica of the Holy Blood. Cape Town is one of most romantic city in the South Africa. It is located at southwest coast of Africa. You can enjoy Hout Bay, Camp’s Bay and Table Mountain in Cape Town. One more thing for shopping lover is Cape Town has two best shopping long streets; one is Merchants on Long and another is Church Street where you can find everything unique from fashion. Chicago is perfect honeymoon destination in Illinois. Have you heard ever about Chicago? Buckingham Fountain, Promontory Point, Chicago Riverwalk, Garfield Park Conservatory, Lincoln Park Zoo, Green Mill Cocktail Lounge, Chicago Theatre are the best places to explore Chicago. Once you visit here, you will definitely fall in love with Chicago. Washington DC is not only the capital of USA but also a tourist attraction place. You can visit to Washington Monument, Ford’s Theatre, National Museum of African Art, Hirsh horn Museum and Sculpture Garden, Spy Museum, National Museum of the American Indian and many more. Koh Tao also known as turtle Island is a natural island located in Thailand. It is close enough to two islands one is Koh Samui and another is Koh phangan. Each year diving lover come here and enjoy. You can also enjoy AOW MUANG, SCUBA DIVING, LOTUS BAR, FIZZ BEACH LOUNGE and SAIREE BEACH. Heidelberg is the one of most beautiful, romantic, exotic and tourist attraction place, located in Germany. Heidelberg Castle, Old Town Squares, River Neckar, Karl Theodor Bridge and the Philosophers’ Walk are the main attraction places. Vancouver is popular filmy location located in Canada. This city of Canada will capture your heart. Vancouver is heaven on earth where you can see a number of visitors came here. Queen Elizabeth Park, Van Dusen Botanical Garden, Capilano Suspension Bridge, Capilano River, Granville Island and Lonsdale Quay are the famous places in Vancouver. Maldives (South Asian island country) is the Perfect romantic destination, located in the Indian Ocean, where you can enjoy Romantic Massage, Underwater snooze, Glow-In-The-Dark-Beach, Submarine Ride and hotels such as Cocoa Island Resort, Gili Lankanfushi Maldives. Saint Thomas is famous for its beautiful beaches located in Saint Thomas. Though it is only 32 square miles in the size yet this provides you a number of stunning activities to enjoy there. Santorini is the small and beautiful place, famous for pristine whitewashed villas and gorgeous sunset. This is the place where you can grab your sweet memories and stare into your lover’s eyes. You can enjoy here red- and black-sand beaches, ancient sites—like Bronze Age settlement of Akrotiri. Rio de Janeiro is famous place for its beaches and also known as “marvellous city” located in Brazil. People don’t want to miss the famous places Christ the Redeemer, Maracana Stadium, Sugarloaf Mountain, Tijuca National Park, Lapa Neighborhood, Jardim Botanico, Santa Teresa Neighborhood and many more. These places are the tourist attraction of Rio de Janeiro. Ipanema and Copacabana are well-known beaches in Rio de Janeiro. Cambridge is city of eastern England located on River cam. It is not only famous for university but also cafes, restaurants, market, St. Mary’s church. You can also see a play at the theatre. You can visit the churches & chapels, shopping, Fitzwilliam Museum, Museum of Cambridge, Museum of Archaeology and Anthropology and many more things to enjoy. Rajasthan is mystic land famous for its culture, religion, tradition, magnificent forts and it provides you number activities such as Camel Breeding Farm, Dune Bashing, Choki dhani resort, Raj Mandir Cinema, Pony Ride at Nakki Lake, Shilpgram Museum, Speed Boating and many more. It is located in northern India. Jaipur, Jodhpur, Udaipur, jaisalmer and Bikaner are the famous attractive cities of Rajasthan. Florida Keys is blessed by beautiful nature. This is the perfect peaceful and beautiful romantic location. Florida Keys Island is located nearby the city of Miami, Florida. You can explore old town architect with 19th century design. Key West, Lower Keys, Marathon, Islamorada and Key Largo are the tourist attraction places for beaches, museums, arts and culture, boating and water. Casablanca is the main gateway for many visitors located in western Morocco. It is known as commercial hub of western morocco. To Explore and Famous places of Casablanca are El Jadida, Azemmour, Safi, Central Market, Corniche, Mohamed V, Hassan II Mosque and Museum of Moroccan Judaism. Barcelona is famous for its art and architecture located in Spain. You can visit and enjoy famous places of Bareclona are Sagrada Familia by Antonio Gaudí, Barcelona FC Museum,Las Ramblas-famous street, The Magic Fountain of Montjuïc and The Magic Fountain of Montjuïc. Seattle is beautiful city surrounded with water, mountains and forests and famous for its weather/climate and nature. It is largest city of Washington which is a home of large industry such as Amazon, Microsoft etc. You can visit Chinatown, Seattle Art Museum, Space Needle, Pike Place Market, Museum of ­History & Industry and Downtown waterfront. Have you ever heard about Tahiti? Tahiti is best honeymoon destination in world, located in French Polynesia. Tahiti is heart and soul of French Polynesia. Visitors enjoy papenoo beach, Plage du Taharuu, Moorea, Museum of Tahiti, surfing and more activities. Tahiti is beautiful paradise for couples. Las Vegas is small and gorgeous city in Nevada, USA. It offers you greenery, lake activities and many more things. You can travel around Las Vedas by exploring Mount Charleston, Red Rock Canyon, valley of fire, Floyd Lamb Park, Zion national park, Great Canyon. 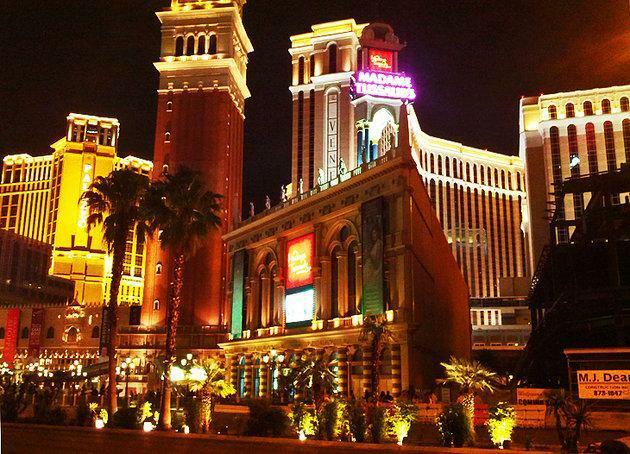 Venetian Hotel and Gondola Rides, Madame Tussaud’s, Stratosphere Tower, Fremont Street, The Strip, Caesar’s Palace and The Colosseum, Bellagio Resort and Fountain Show are the tourist attraction of Las Vegas. Coromandel is one of best romantic vacation destination blessed with pristine beaches forests and laid back vibe. Coromandel offers you a large number of adventure spots, water activities, skiing, walking and hiking spots etc. Nothing is better and more romantic than Coromandel in New Zealand. Sofia is the largest city and capital of Bulgaria located in the west part of country. You can visit and enjoy Bitaka- Sofia’s Flea Market, Puppet Theater, Leo’s Pizza, National History Museum, Antrakt- A unique Cafe in sofia. Are you finding valentine destination or honeymoon place? Istanbul is one of most romantic, exotic place and gateway of romance in Turkey. Taste, sound and aromas of Istanbul will surely capture your heart. Best and romantic city of USA is New York City. Triphammer Falls, Bannerman Castle, Mushroom House, Boldt Castle, Zoar Valley swimming hole, The Statue of Liberty , Ausable Chasm Bridge, Empire State Building, Le Bain, The littlest international bridge are the famous and tourist attraction places in NewYork. Panama is the Central American city, best for everything that a couple want. It provides the services of exotic restaurants, beaches, vibrant night services and many more things. Famous and tourist attraction places that people don’t want to miss at any cost are Playa Las Lajas, Isla Taboga, Panama Canal, Pearl Islands, Amador Causeway, Bocas Town and San Blas Islands. Every couple has their own honeymoon destinations. Singapore is the one of most romantic country all over the world, blessed with beautiful and romantic places. Most and breathtaking places in Singapore are Changi Point Coastal Walk, Bukit Batok Town Park, beaches of Sentosa, Cruise down the Singapore River, Light & water show at the Marina Bay Sands. Charleston is the largest and wealthier city of South Carolina located in USA. It provides a number of activities and services where you want to fall in love with Charleston again and again. Visitor’s attracts with Waterfront Park, The Charleston Museum, Middleton Place Plantation, Fort Sumter National Monument, South Carolina Aquarium, Magnolia Plantation & Gardens are best romantic places in Charleston. Anchorage is the one main gateway of romantic and tourist attraction city of Alaska. City is famous for hiking spot, Ski areas and national park. Each and every year, even all of the year; number of couples came here to enjoy their beautiful golden period of time and go back with unforgettable memories. You can enjoy here Anchorage Museum, Alaska Center for the Performing Arts, Anchorage Market & Festival, Alaska Native Heritage Centre, Kincaid Park, Alaska Aviation Museum and Alaska Zoo. Sydney is the one of attractive and romantic place in Australia. Sydney provide a number of activities like hiking, water activities etc. Royal Botanic Gardens, Bronte Beach, Circular Quay, Taronga Zoo are the famous places for tourist attraction. Most of people describe this city as “City of love”. Germany is a beautiful country blessed with natural scenery, castle and historic sites. Rhine George is the one of most beautiful city in Germany. It is located between two cities Bingen and Bonn. Visitors fall in love with Rhine valley, its natural beauty. You can discover Rhine by exploring Museums of Mainz, Worms Cathedral, Spa Town-Wiesbaden, Braubach and Marksburg Castle. Italy and Greece, as well as Spain seem so romantic. I’d love to visit Greece one day. Lovely list of romantic cities!